Should you choose a Vacation Rental House or Condo? While it’s really a matter of taste, we believe there are many compelling reasons to choose Destin Florida house rentals. Should you have the means. . . Bueller – Bueller. Consider Destin Florida house rentals. The information provided here will show you how you can upgrade your next vacation to a house at about the same cost to you. Destin Florida house rentals are becoming more and more popular because they offer so much over the hotels or condos. While the hotels and condos can offer a less expensive way to have direct beach access and views if you are traveling as just a couple, the benefits overwhelmingly add up in favor the the luxury beach house rental like Doctors Orders when traveling with a group. even less during winter. During our specials, it gets down to less than $10 per person per night! Many Beach Houses let you BRING FIDO. Your little buddies would love to be with you on your vacation. Houses have MORE SPACE. Bigger rooms, bigger kitchen, bigger baths, more parking. Houses with private deeded beach access usually have BETTER BEACH ACCESS. Usually a 1/10 ratio vs the public beaches or Condo beaches. Houses provide a means to KEEP FAMILY & FRIENDS TOGETHER. You wont have to be in different building or on different floors! When you stay in a house, you will be LIVING LIKE A LOCAL. You’ll feel it when you pull in, walk the street, chat with the neighbors! Houses have way more PRIVACY – you wont hear or see the strangers on the other side of the walls. Houses can have a PRIVATE POOL – Anytime your group wants to use it, all fenced in. Private Pool. Safe for kids. Romantic for Adults. 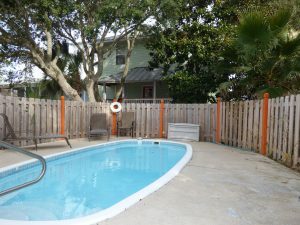 Destin Florida house rentals are affordable for groups! Houses often have their own BALCONY or PORCH to enjoy the morning coffee while on your Destin vacation rental. Doctors Orders Beach House rental has a GOURMET KITCHEN – Fully stocked, full size refrigerator, Keurig coffee maker. Those who truly appreciate FRESH SEAFOOD or steak cooked to perfection will need a full size BBQ like provided @ Doctors Orders Destin Beach House. Houses have their own WASHER and DRYER – pack less clothes as you can wash what you bring. Houses have BETTER BEDS and AMENITIES – Destin Florida house rentals managed by the owner are their pride and joy. No Company will care for you as well! Houses like Doctors Orders come with extras like KAYAK, BIKES, BEACH UMBRELLAS and CHAIRS included. Of course there is a whole Destin Florida house rentals experience that can’t be had from a condo. Seems like you are really living like a local when you select Doctors Orders Beach House as your Destin Vacation Rental. 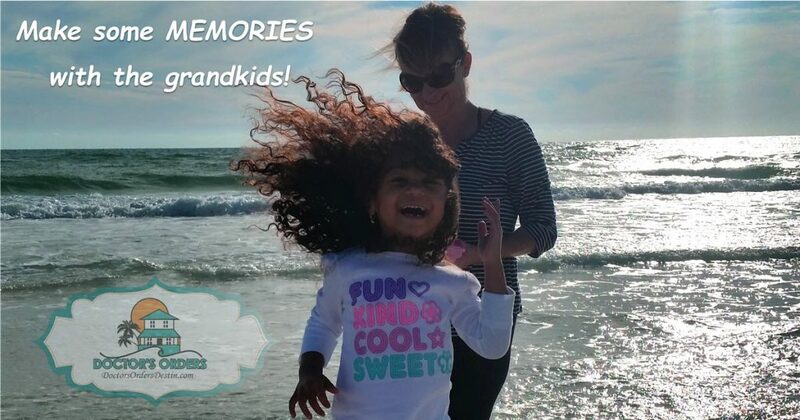 Check out our visions of Destin gallery to imagine some of the memories you can gain while staying at Doctors Orders. Here are a few thoughts from the main website as to what you will get. Isn’t it easy to get sick of work, sick of stress and sick of a fast-paced life these days! The cure? A quiet getaway as your choice of Destin Florida house rentals should be Doctors Orders in Kokomo Cove! This Destin Florida vacation rental sits just enough off the beaten path to offer real peace and tranquility. Most of all, there are no parking lots, cement jungles or noisy neighbors here! It’s wooded surroundings encompass views of two inlets. The Destiny West lake speckled with charming wildlife that call it home. Another pleasant side effect choosing Destin Florida house rentals is its location near Destin’s most powerful medicine- the soothing Gulf of Mexico. Head two blocks from the front porch and see the sun sparkling on the emerald water like diamonds, feel the powder-soft sand between your toes and listen to the rustle of sea oats in the Gulf Breeze. Therefore, this powerful combination is sure to heal whatever ails you! Also Noteworthy is how Kokomo Cove’s entry also crosses a newly paved walking path that stretches the length of the beach road. Furthermore, restaurants, shops and even golf courses dot this scenic route and provide entertaining way-points for a sunny bike ride. 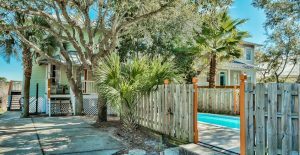 Destin Florida House Rentals – Live like a Local! Doctors Orders vacation beach house rental is just one block from the sugar white sands of Crystal Beach. The clear waters of the Emerald Coast will leave you awe struck. During the season the water is warm and Crystal Beach is shallow enough to walk out for quite a way. See the live cam feed of Crystal Beach, Florida Fl, just a few hundred feet from our private beach access. You will be amazed when you look down through the clear waters. Then you will see your feet at the bottom with fish swimming around your ankles. We hope you select Doctors Orders Beach House when considering Destin Florida House Rentals.